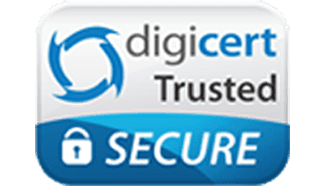 What is an events debit card or events credit card? The events industry is big business and they use event debit cards and event credit cards to process payments. In 2016, 251 million participants attended 1.9 million events in the U.S. Meetings during 2016 generated $845 billion in business sales and $325 billion in direct spending. Events can help to generate profits for businesses. For each dollar that was spent on events in 2016, $1.60 was generated. While the value of holding events is undeniable, planning them can be a real headache for event management companies and staff. Using events credit cards can help to make the planning process smoother. These are a type of business credit card that is specifically meant to help with event management and planning. You can use them to make purchases of supplies or payments to vendors without having to go through lengthy processes. How can an events credit card help improve my event? Because of the many details that are involved with planning events, the process can seem daunting. It can be easier if you are able to break large tasks into smaller subtasks and then delegate them to your employees. Instead of relying on your employees to spend their own money for the event, you can give them events credit cards to use. Events credit cards can allow your employees to do things such as pay for the venue, order supplies, pay for event rental equipment, and take care of other tasks without having to submit requisitions and wait for approvals. Since event planning often involves running into tight deadlines, using events credit cards can help your event come together well within your timeframe. In addition to events credit cards, event managers can also opt to use business debit cards for their events. Unlike credit cards, business debit cards are not attached to credit lines and will not cause your level of debt to increase. You can place restrictions on the cards that you give to your employees so that they can only use them at specific vendors and spend set amounts. Event management debit cards do not require your business or you to submit to credit checks since they are not credit cards. You can purchase the number of cards that you need for your employees so that they can have the flexibility to buy what is needed for your event. How does a business debit card compare to an event planner credit card? An event planner credit card has a line of credit attached to it. To qualify for the card, both your business and you will need to submit to credit checks. 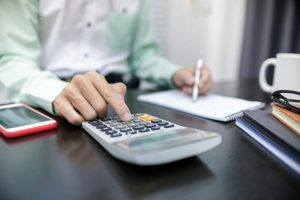 Many credit card companies require that business owners undergo credit checks in addition to their businesses before card applications will be approved. When purchases are made with the credit cards, interest will be assessed on the balances if they are not paid off within the month. If you are unable to pay off the balances within that time, your debt level will increase. Events credit cards may also have hidden risks that consumer credit cards do not. 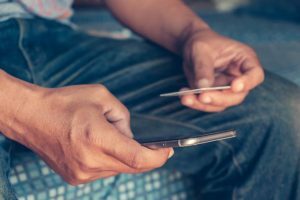 The card issuers are able to change the terms at any time and may apply penalty interest rates with no notice if you violate any of the terms of the account. Business fraud is extremely common and can arise in many different industries. For example, in a case that happened at a pair of schools in New Canaan, Connecticut, two sisters who worked in the cafeterias of a middle school and a high school reportedly stole $500,000 from the school district over a period of five years. According to the police, the sisters would not let other cafeteria workers handle the receipts in the cafeterias. The school district noticed inconsistencies and conducted a months-long investigation. The sisters were charged with thefts going back five years. However, the school district said that it is possible that they stole money before that time. The statute of limitations would only allow them to go back five years. 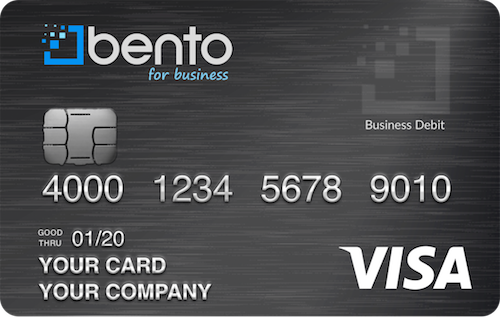 Event debit cards such as the cards from Bento for Business help you to prevent fraud. You are able to choose how much money to place on each card. You can set individual spending limits by the interval of your choice, and you can turn the cards off when your employees are not at work. The Bento for Business Visa debit cards also allow you to restrict individual cards to only be used at specific vendors or suppliers. If your employees attempt to make unauthorized purchases, their attempts will be declined. After you are notified about the attempt, you can decide how you want to handle it. To understand how the debit cards might work for you as an alternative to events credit cards, imagine that you are planning an upcoming corporate event. You are tasked with locating and placing a deposit on a venue, securing a block of hotel rooms, arranging discounts for airfare, renting event equipment, paying presenters, and all of the other details. Instead of trying to handle the myriad tasks on your own, you can give your employees debit cards to use. You can give Susan a card with a limit of $2,000 to pay for the venue. Stephen can use his card with a limit of $2,500 to pay for the equipment that you will need. Sam can be given a card with a limit of $4,000 to pay the presenters’ required speaking fees so that they can be confirmed. If any of your employees try to use their cards at other stores, the purchases will be declined. Bento for Business is a company that is focused on offering businesses debit card solutions that can help them to manage and control their expenses. The company has thousands of customers in the U.S. and enjoys great user reviews. Bento offers a free 60-day trial so that businesses can try out their cards so that they can make informed decisions. To learn more, call us at 866.220.8455.